If you are preparing to go to federal prison or know someone currently incarcerated, we can help. Our team of experienced and knowledgable federal prison consultants and criminal defense attorneys are standing by ready to help. Our criminal defense attorneys and federal prison consultants are ready and able to assist you with all of your prison preparation, in prison, and reentry needs. Our team of experienced practitioners can answer all of your questions, help you prepare for a term of federal incarceration, and solve problems as they arise. If you have been charged with a federal crime or are under investigation for a federal criminal violation, our team of experienced federal criminal defense attorneys can help. Our distinguished team of lawyers can advise you of the best course of action, represent you at trial, or even appeal a conviction, whether a direct appeal or a habeas corpus petition. Allow our experienced federal prison consultants to answer all of your questions, walk you through what to expect, and help you create a game plan for how to get through a term of incarceration. We can help you develop an informational foundation from which to make informed decisions once you arrive in federal prison. If you are already incarcerated, our federal prison consultants and criminal defense attorneys can assist you when problems present themselves. Whether you need an administrative remedy filed, more halfway house, disciplinary defense, or a compassionate release, we can handle everything for you. As you prepare for reentry back into society, we can answer your questions, help you maximize halfway house and home confinement placement, assist you with transfers of supervised release to a different jurisdiction, and help make your reentry as smooth and successful of a process as possible. When charged with a federal crime, it can feel as though your life is crashing down. For many in this position, it feels as though there is nowhere to turn. It can be terrifying and the fear of what is to come can be crippling. During this time of crisis, it is essential to quickly get a bearing on what is going on and what the best next steps are to protect yourself, your family, and your future. Enter PrisonerResource.com and our team of highly-qualified federal prison consultants and federal criminal defense attorneys. From the moment you contact us, we will be there for you helping you to make the best decisions possible from investigation or indictment through incarceration and on to your reentry to society. Our chief consultant, Christopher Zoukis, has been through it, so he understands it. And with a team of experienced federal criminal defense attorneys on our staff, we can provide a holistic solution to your current legal problems. While our attorneys represent you at trial, on appeal, and in habeas corpus petitions (e.g., 2241 and 2252 motions), our federal prison consultants talk to you and help you to build an informational framework from which to make the best possible decisions. 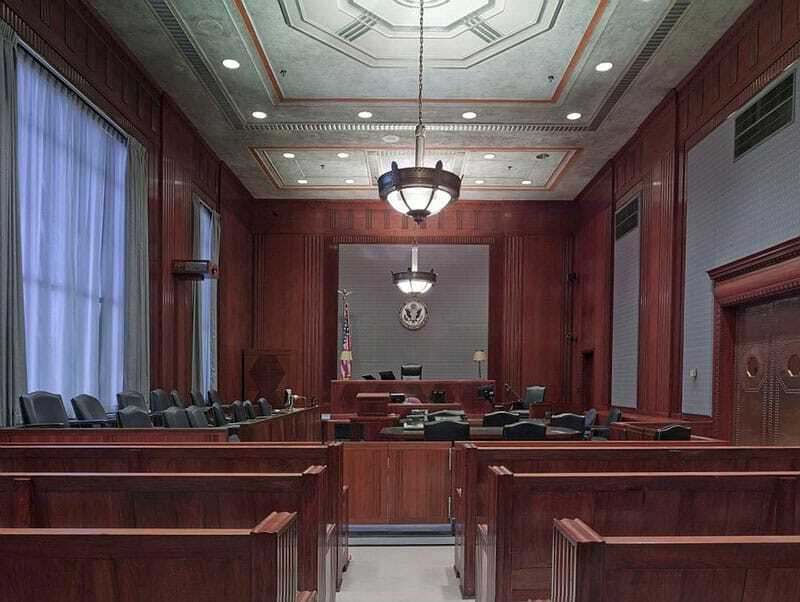 Our legal team can help you weigh the pros and cons of retaining legal counsel or going with a Public Defender, represent you at trial, and ensure that the best possible defense is raised for the charges lodged against you. Of course, if you elect to retain other counsel, our prison preparation and other prison consulting services are still available to you. Want to earn an undergraduate or graduate degree while in federal prison? Interested in participating in religious or recreational services? Do you want to undergo drug or alcohol treatment, or treatment for a psychological issue? Are you elderly and want to seek an early release? Interested in maximizing halfway house and/or home confinement time? Want to ensure that you receive maximum benefit of the First Step Act? Regardless of your interests, Chris can help you come up with a plan. He can also help you develop your plan into specific, actionable steps to move it from idea into a reality. In addition to being highly experienced with Federal Bureau of Prisons policy and life therein, Chris is also the author of the Prison Education Guide and College for Convicts: The Case for Higher Education in American Prisons. He is known as a leading voice in the prison education field and can help you to fulfill your academic goals while incarcerated. People enter the criminal justice system scared and afraid of what is to come. At PrisonerResource.com, our goal is to alleviate this fear, impart the information you need to know to not only remain safe, but to thrive in the environment that is to come, and to hold your hand every step of the way. With the assistance of our federal prison consultants and federal criminal defense attorneys, we can help you serve the least amount of time possible at the best prison with the earliest chance for release. We can also help you to come out of this experience as unscathed as possible. We have profiled every prison within the Federal Bureau of Prisons. Learn about each prison's location, security level, educational and recreational offerings, and much more. Watch our videos about federal prison.